Cush Design Studio offers a flexible menu of commercial and residential interior design renderings and services as well as custom furniture design and fabrication in Brooklyn, NY. 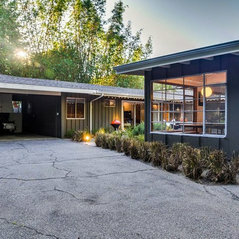 Every project is tailored to suit the unique needs and budgets of the client, offering a variety of options to enable the client to choose how to best proceed. 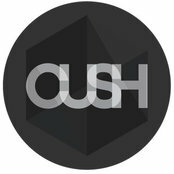 Cush Design Studio was established by Chris Cushingham in 2009. After receiving formal training in interior design from Seattle Pacific University and the Fashion Institute of Design and Merchandising in Los Angeles, Chris moved to New York City to work under Anurag Nema at the interior architecture firm Nemaworkshop. At Nemaworkshop Chris worked on a number of residential and commercial design projects from Toby's Estate coffee shop in Williamsburg and The Smith restaurant in Turtle Bay, to the renovation of the W Hotel in the French Quarter of New Orleans and its sister restaurant Sobou. 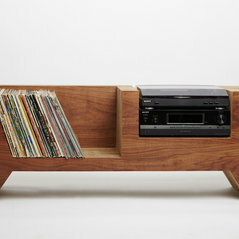 Chris started making furniture for himself while in design school. Chris continued designing furniture at Nemaworkshop where a number of pieces were conceived for the W Hotel. After starting Cush Design Studio, Chris began a residency at SuperSmith, a shared creative workspace in Red Hook, and has since moved to the Liberty Labs fabrication shop in Red Hook where all of the Cush Design Studio furniture is handmade by Chris.